Performer EFI nitrous are the best way to get a major power increase in your fuel injected late-model street machine. These systems work with your stock ECU for a simple installation. Performer EFI "Dry" Nitrous Systems supply nitrous directly into the intake stream, and the extra fuel is supplied through the OE injectors by raising the fuel pressure or changing the duty cycle. Edelbrock Nitrous systems are designed to deliver safe and accurate horsepower gains with even distribution to cylinders. 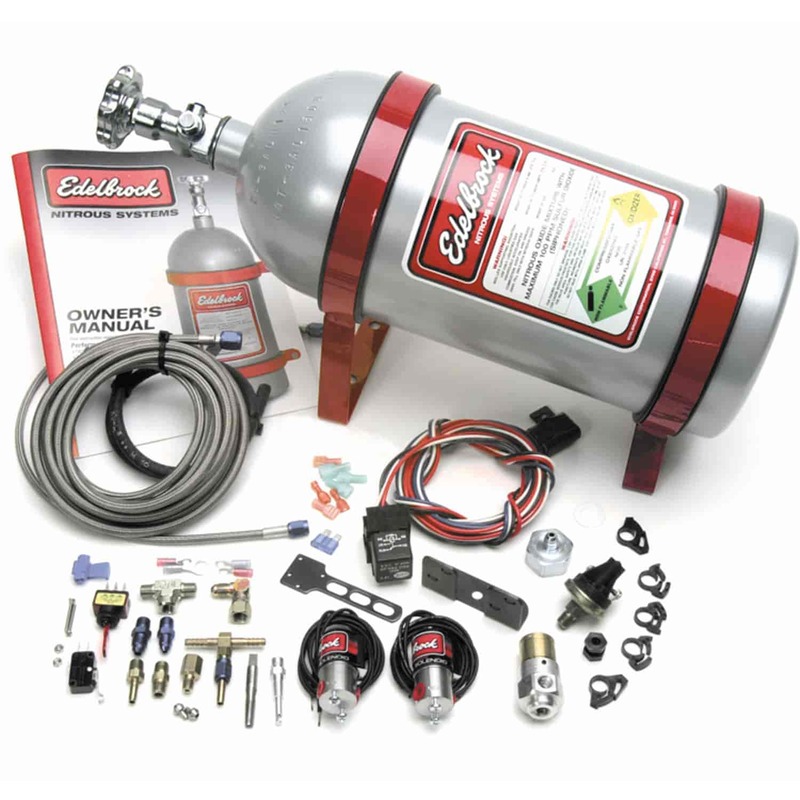 Nitrous kits from Edelbrock are available in a variety of HP gains from +20 to +500 HP! Performer EFI "Wet" systems use a direct-port style nozzle to introduce nitrous and fuel into the intake runner. "Dry" Nitrous Systems supply nitrous directly into the intake stream, and the extra fuel is supplied through the OE injectors by raising the fuel pressure or changing the duty cycle. Does Edelbrock 70400 fit your vehicle?